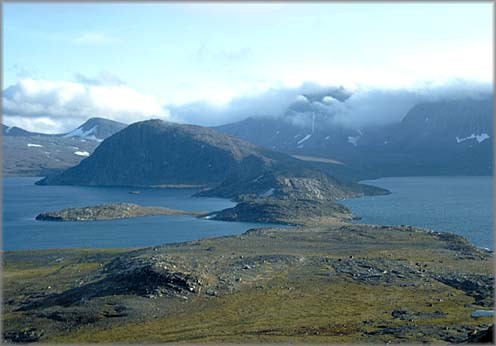 Aboriginal Arctic peoples wore tailored clothing sewn from animal skins. 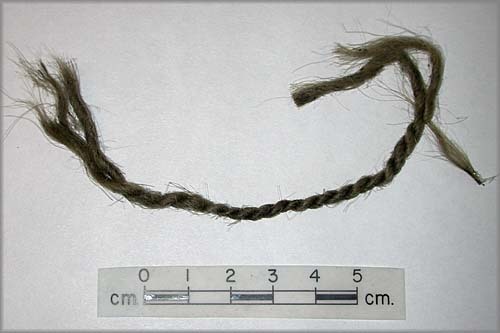 The Greenlandic Norse made garments by spinning fibres, most commonly from the wool of sheep and goats, and weaving the spun cordage into textiles. 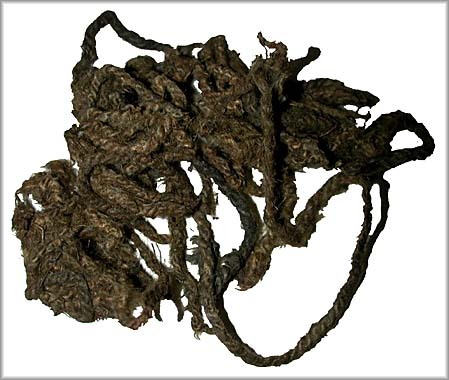 The cordage found in Helluland collections is not made from sheep or goat wool, but from the fur of other animals: Arctic hare, fox, and dog. 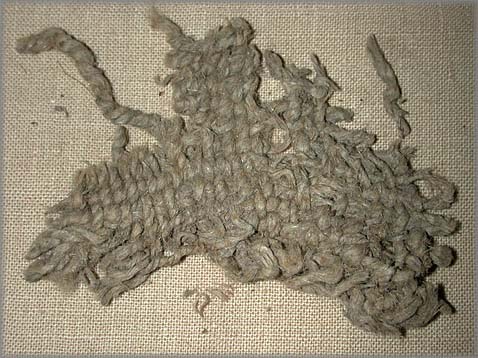 Cordage spun from Arctic hare fur is found in only two of the many pieces of textile from mediaeval Greenland that have been recovered. 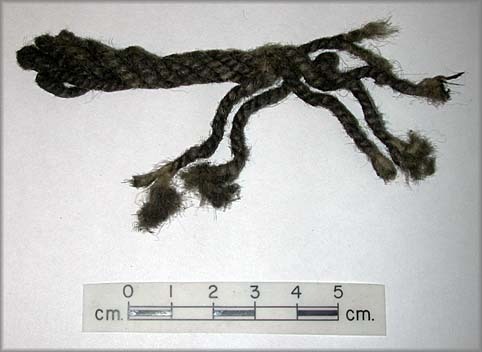 This seems to indicate that the Helluland cordage was made locally rather than being imported from the Norse colonies. 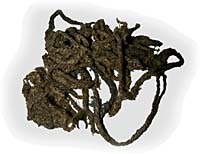 The evenness of the spun cordage from Helluland sites, and the fact that it is made from fibres that are difficult to spin, indicates the work of experienced artisans. Does this suggest that European women were in Helluland, or that local Dorset people had become expert at using a foreign technology?